Kane saves Spurs with a late strike to draw away at Newport County. 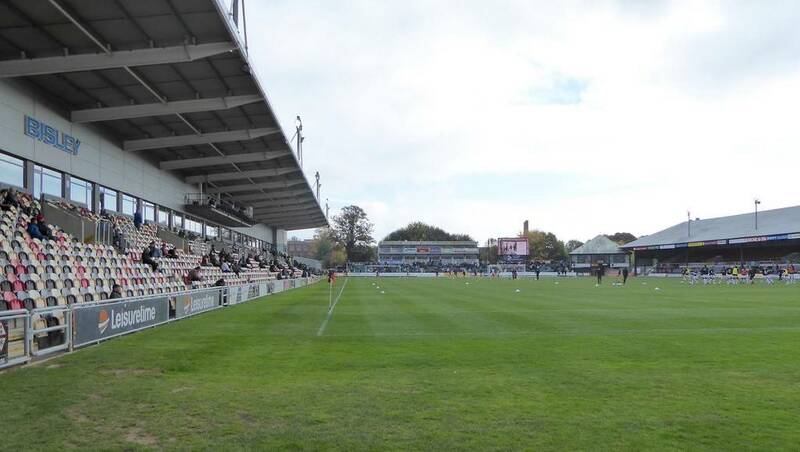 The League Two outfit started the game positively, and were the better side in front of their sell-out crowd. Frank Nouble found himself with a one-on-one against Michel Vorm just four minutes after the start, but sent the ball flying over the bar with a powerful, yet wildly inaccurate strike on goal. Newport did open the scoring in the 38th minute of the game. Ben Tozer caused Spurs problems at the back with a long throw into the box. 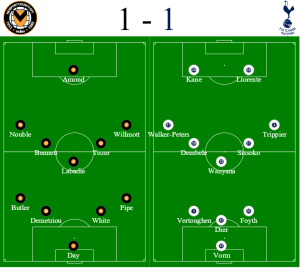 After Tottenham failed to adequately clear their lines, Scot Bennett capitalised on the opportunity by curling a dangerous ball into Amond at the back post, who headed it bottom-left to beat Vorm. 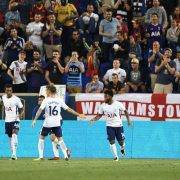 Tottenham Hotspur, unbeaten in their Champions League campaign, did not register one shot on target during the first half. This was not just a result of the Spurs sluggish start, but a credit to the underdogs, who were playing enthusiastic, entertaining football. Spurs seemed livelier in the second half, perhaps after a stern word or two from Mauricio Pochettino. Walker-Peters was replaced by Son, who added a renewed vigour into the Spurs style of play. Kane had a few more chances to beat Joe Day but uncharacteristically fluffed chances he really should have converted. The equaliser finally came in the 81st minute after an impressive flick on by Son. 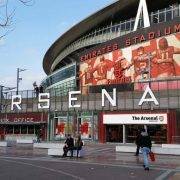 The corner was delivered to the near post and Son, mid-air, intricately flicked the ball off the side of his boot across goal, for Kane to tap it in. Tottenham bungled chance after chance during the second half and as a result, walked away without a win. 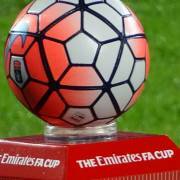 The replay will be played on the 7th February, where the hosts will welcome Newport at Wembley Stadium.